BUFFALO/ROCHESTER/ALBANY, N.Y. – The Martin Group, an award-winning, “best-in-class” integrated communications agency with offices in Buffalo and Rochester, N.Y., today announced the company’s expansion into the Capital Region, effective in March 2018. The agency will formally open and staff an office at the Times Union building (645 Albany Shaker Road). This new location will allow the agency to more fully service existing Albany-area clients, including Excelsior College, Phillips Lytle LLP, the Albany Times Union, and many others, while at the same time building upon ongoing marketing service partnership opportunities with Hearst Digital Agency. The Martin Group and Hearst Digital Agency have recently partnered on several regional and national marketing project initiatives, including an integrated program for Albany-based Excelsior College, a not-for-profit online institution that is a pioneer in higher education for adult learners. The Martin Group also designed the logo and brand identity for the Albany Empire, which plays its inaugural game April 14 at the Times Union Center. “Through our recent collaborations with The Martin Group, we’ve identified the agency as a premier provider of integrated communications services and one that we are extremely pleased to partner with in the Capital Region market. Few agencies offer the type of strategic brand thinking that The Martin Group prides itself on. And we believe these skills can greatly complement our own existing products, marketing service lines and initiatives. I’m pleased to welcome The Martin Group to Albany,” said George R. Hearst III, Publisher and CEO, Albany Times Union. In addition to its office location presence at the Times Union building, The Martin Group has made new staffing moves to support local operations and overall client and business development needs. John Mackowiak, Director of Public Relations and Public Affairs, will help lead the charge alongside Jennifer Hunold, Senior Brand Manager, for The Martin Group in the Capital Region. The agency’s arrival builds on the momentum at the Times Union building, which has seen a surge of activity since the opening of the Hearst Media Center, a premium meeting space for events and conferences. The Martin Group will also develop an active presence within the Capital Region’s business community. The firm is planning a series of informational seminars for 2018 that will cover such topics as, “Branding Discovery,” “Public Relations 101,” “Social Media Trends,” “SEO Basics,” and more. 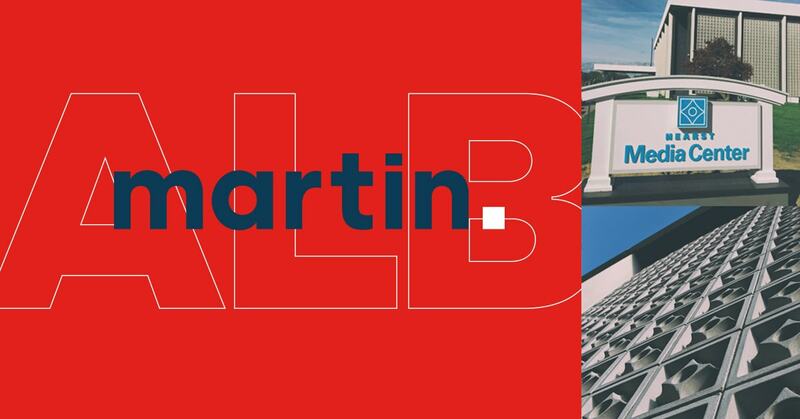 From its new Albany office and with support from the Buffalo and Rochester operations, The Martin Group will maintain its full array of marketing and communications services to organizations that are based in or serve customers in the Capital Region. The firm’s services include brand research and strategy, analytics, creative, digital, paid media, social media, and public relations. and nonprofits. In 2017, The Martin Group was named one of WNY’s Top Private Companies for the third consecutive year, and in 2016 was recognized as the 2nd Fastest Growing Company in WNY by Buffalo Business First. For more information, visit http://www.martingroup.co/. Questions or comments regarding The Martin Group’s expansion in the Capital Region? Contact John Mackowiak, Director of Public Relations and Public Affairs: jmackowiak@martingroupmarketing.com.